Product prices and availability are accurate as of 2019-04-18 07:23:50 UTC and are subject to change. Any price and availability information displayed on http://www.amazon.com/ at the time of purchase will apply to the purchase of this product. 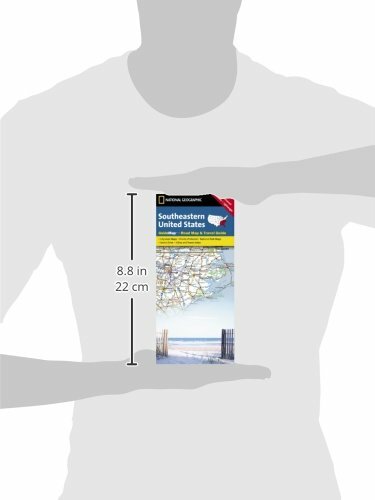 Covering the country from Philadelphia to the Florida Keys and west to the Mississippi River, National Geographic's Southeastern USA Guide Map is designed to meet the needs of all travelers to this part of the country. 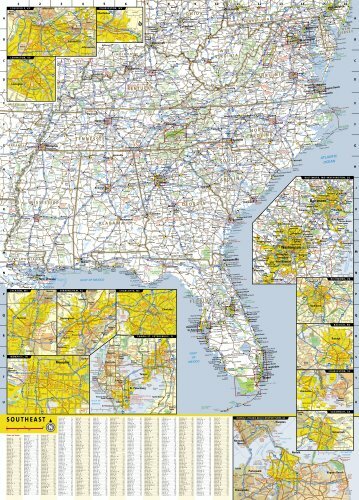 The main map displays a comprehensive interstate highway network, complete with mileage markers and designations for toll and free access roads, as well as smaller state highways and county roads. Points of interest, national parks and forests, airports and state capitals are pinpointed. An index of cities and towns will help you quickly locate your destination. More than 20 metropolitan areas can be found on inset maps, providing extra detail of each area's road network and points of interest. 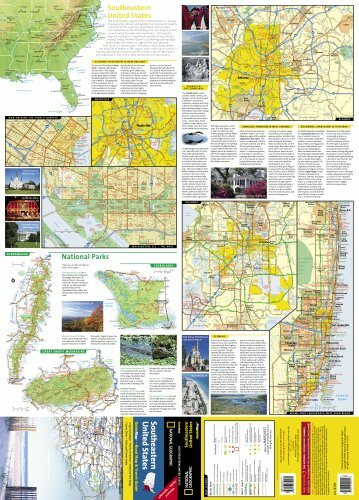 Inset maps are also provided for the Everglades, Shenandoah and Great Smoky Mountains National Parks. Traveling information is given about the Deep South, Coastal South, southern Appalachian Mountain and Chesapeake Bay areas, Florida and many national parks.